According to the Uniform Crime Reporting Statistics by the Federal Bureau of Investigation (FBI) there were a total of 1,282, 957 impaired or drunk driving arrests in 2012 throughout the USA. Impaired or Drunk Driving crashes took the lives of 10,322 people, accounting for one death on average every 51 minutes. This was nearly a 5 percent increase over the prior year where there were 9,865 fatalities reported. Arizona has some of the toughest impaired driving laws in the country. If you have been arrested for drunk or drug impaired driving, in most states a person will face penalties in both civil and criminal court. First any impaired driving charge in violation of Arizona law A.R.S. 28-1381 Arizona is a criminal offense. The motorist will be exposed to criminal penalties including jail terms and suspension of their driver’s licenses. In addition, to criminal sentencing, the judge has discretion of ordering the convicted driver to pay restitution in the form of medical payments to victims; and the costs to repair or replace the damaged property. This is often the case, when the impaired driver did not have valid liability insurance coverage in force at the time of the loss. The motorist will be exposed to civil penalties with regard to suspension or revocation of your driver’s license by the Motor Vehicle Department in most states. Impaired Driving Accidents are multifaceted. They usually result in collateral damage that crosses over from criminal law to personal injury law, with insurance implications. There are many collateral consequences related to an impaired driving conviction, especially when it involves an accident. One of these consequences is the adverse impacts related to auto liability and insurance. In this article we are taking a closer look at the impacts on a driver’s insurance, and its critical role for seriously injured victims and their families. If a passenger in the vehicle you are driving, or any other person is seriously or fatally injured as a result of a motorist’s impaired driving, the driver will be exposed to civil liability in addition to criminal liability by the victim or their families in the case of wrongful death. This means that the victim or their families may bring a lawsuit against the impaired driver to compensate them for property damage, medical bills, financial losses, pain and suffering including emotional distress resulting from the accident. By law, the victim or their family has the right to bring a civil lawsuit whether or not the driver was found guilty or innocent of the impaired driving charges. If you receive lawsuit documents as result of injuries to a victim, you should always forward them promptly to your insurance carrier. If you did not have insurance at the time, it is important that you obtain legal advice regarding your matter for a civil litigation attorney. The insurance company will usually provide a legal defense for the lawsuit if you had valid liability insurance for the auto you were driving at the time of the collision. If you did not have valid auto liability insurance in force, you should consult a civil attorney regarding the documents you received to obtain guidance and options for defense. Unless specific exclusions apply most insurance policies provide coverage for an auto accident, even it related to impaired driving, as long as the vehicle or motor cycle you were driving was properly insured, and you carry coverage for property damage, liability and other losses to a victim that resulted from the impaired driving collision. Auto insurance policies guidelines are regulated by the respective Department of Insurance where the policy was issued. In Arizona, it is the Arizona Department of Insurance or the person’s state in which they reside. Polices and their exclusions and limitations vary by insurer, policy type, and underwriting guidelines. In general, most insurance companies do not contain exclusions for impaired driving related accidents while coverage is in force; they often take policy action upon the next renewal following the collision and claim. For example they may apply a surcharge, and increase the costs of the insurance; or they may even refuse to renew coverage. If a person is looking for new auto coverage, an insurance company may deny coverage and refuse to issue an insurance policy, considering it too high of a risk to accept. The time limit to consider prior drunk driving conviction history may differ between insurance companies and be impacted by states laws. Most states have laws, which may differ with regard to impacts of auto insurance following an accident. In Arizona anyone with an impaired driving conviction must provide proof to the Arizona Motor Vehicle Department (MVD) of “SR22 Filing”. The SR22 is mandatory following a drug or alcohol driving conviction which calls for driver’s licenses suspensions or revocations. It serves as proof that you carry auto liability insurance through a licensed insurance carrier. There is a cost to the driver or policy holder for this, which varies by insurer and state. A person convicted of impaired driving due to alcohol or drugs is required to carry the SR22 proof of insurance for at least three years following the conviction. If the driver cancels their auto liability coverage within that three year period, the insurance company is required by law to notify the Arizona Motor Vehicle Department upon cancellation of the SR22 insurance. If the SR22 police lapses, or is terminated, the Motor Vehicle Department will immediately suspend, or revoke the motorist’s driver’s license; and the driver will need to go through the entire reinstatement and SR22 process again. 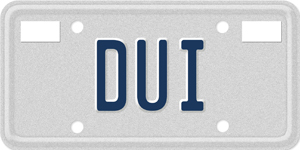 The MVD voids the 90 day Administrative Per Se suspension, and later, the MVD issues a formal suspension of the person’s driver’s license as a result of being convicted of the impaired driving charges. If you or someone you have has been arrested for driving impaired which resulted in an accident that caused extensive damage and injury to another, your DUI charges may be elevated to felony charges depending on the circumstances. It is critical that you hire a qualified and experienced attorney to defend your charges and protect your rights. Any issues that may arise resulting from the victim’s injuries should be referred to your Auto Insurance Carrier, or a civil law practice attorney. If you are a victim of an auto collision involving an impaired driver, and have been seriously injured you should notify your insurance carrier of the loss as soon as possible, and consult an experienced personal injury firm to discuss your matter. If retained, your attorney will explore your options for recovering losses that might be available from alternative resources such as Uninsured Motorist Coverage on your own auto policy. The key to successful outcomes in either criminal cases, or civil litigation is early retention of your insurance company, and legal advocates. James Novak, of Law Office of James Novak, is dedicated to DUI and Criminal attorney who dedicates his practice exclusively to DUI and criminal defense representation for charges in Phoenix, Tempe, Mesa, Gilbert, Chandler, and Scottsdale, Arizona James Novak offers provides a free consultation for active charges in these service and practice areas to discuss your matter and options for defense.